No one expects you to have it all together your freshman year of college. You’ll probably end up losing your student ID, getting locked out of your dorm room, picking the wrong major and signing up for way more clubs than you could possibly handle. Mistakes happen. But if you can keep them from draining your bank account, you’ll just have a funny story to tell later on. If you have access to a credit card in college, you might want to set some ground rules before using it, like charging only a few purchases and paying off your balance every month. Otherwise, you’re putting yourself at risk of going into credit card debt. If you can’t pay it off monthly, you’re essentially taking out a small, high-interest loan. Credit cards can help jump-start your credit history by helping you to build credit, but only if you use them responsibly. Some schools encourage freshmen to defer work-study until their second semester so they have time to acclimate to college life. But delaying your start date will effectively cut your yearly work-study funds in half. Plus, it may be harder to find a job halfway through the year. Deferring work-study for a semester may be the right call for you, if you know you’ll need the time to adjust or you’re taking a particularly heavy course load. Just make sure you can afford to forgo that money before you decide. In general, it’s best to max out your federal loans, which you become eligible for by filling out the Free Application for Federal Student Aid, or FAFSA, before resorting to private student loans. That’s because federal loan interest rates aren’t based on a credit check, so you’ll get the same interest rate as everyone else. Plus, they have more robust borrower protections, like income-driven repayment plans and deferment and forbearance options if you ever have trouble making your monthly payments. For most borrowers, private loans can’t compete with those perks, so it’s best to use them only as a last resort. The word “budget” doesn’t exactly conjure up excitement for most people. But budgeting doesn’t have to be overly complicated or time-consuming — free budgeting apps can ease that pain. Spend a few minutes with an app or just pen, paper and your bank statement to get a sense of what you’re spending each month on nonfixed costs, like textbooks, coffee and going out. A good jumping-off point is the 50/30/20 budget, which earmarks 50% of your income for necessities, 30% for wants and 20% for savings and debt repayment. Whenever possible, take a full semester’s worth of credits — or more, if you know you can handle it. Falling behind in credits could translate to taking more than four years to graduate. According to the National Center for Education Statistics, only about 40% of the class of 2012 graduated within four years. 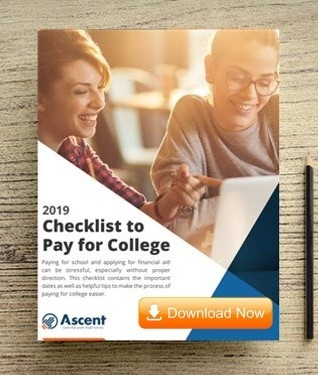 But spending more than four years in college could end up costing you hundreds of thousands of dollars in extra tuition and fees, future earnings and retirement dollars. Getting ahead of these pitfalls will help keep your bank account fat and happy over the next few years. Plus, you’ll graduate with less debt than you might otherwise. That means you’ll be able to devote more of your efforts to landing a great post-grad job instead of worrying about paying off credit card bills on top of your student loans. Devon Delfino is a staff writer at NerdWallet, a personal finance website. Email: [email protected]. Twitter: @devondelfino. The article 5 Money Mistakes Students Make Freshman Year originally appeared on NerdWallet.